Cha or tea is an indispensable part of the Bangladeshi lifestyle. There are little tea shacks spruced up at every nook and cranny of any city there. And these shacks are never empty and the tea kettle is never off the stove except when tea is poured out from it onto little glass cups. The tea cups in Bangladesh are all pretty much the same dainty size (similar to the ones in the images). They are not enormous like the coffee mugs here in the States. A lot of tea is drank but in separate little cups instead of all at once. And tea is always steaming hot not mildly warm like coffee here. Raging conversations about politics and social issues area stormed over several cups of tea in these street shacks, at offices, schools and home. Tea is essential in the morning with breakfast and the entire country takes a tea break in the afternoon. And the afternoon tea time is always accompanied with snacks like a kolijar shingara. Just the thought of it makes me giddy. There are several types of tea that is drank in Bangladesh because the country is one of the major exporters of tea. First of all there is the tea that is with milk [dudh cha or milk tea] and without milk [rong cha]. And then between these two groups are various types of tea. Often an array of spices are added to the tea for an additional layer of flavoring like cardamoms, cinnamon, ginger, bay leaf, cloves or lemon. To make the rong cha[tea without milk] water is boiled and then poured through a sieve full of tea leaves or granules. If any spices are added then it is boiled with the water for awhile before pouring it through the tea. Everyone has a way of their own to make the dudh cha[milk tea] and every one of their teas taste different. Some people boil water to make this tea while some people boil milk to make it. Some people boil the tea with the water for a long time. And a lot of Bangladeshis use powdered milk or condensed milk to make this tea. Again when spices are used, it is boiled with the water or the milk. I personally have a love affair with dudh cha[milk tea]. I usually do not drink tea without milk unless for soothing my throat or medicinal purposes. I also do not like to use spices in my milk tea but I do use spices when I make it without milk. My husband is just the opposite. He always takes his tea without milk. We buy the Maharaja tea from Teavana which is a varied mix of several spices. I will share my tea recipe here with you. It is quite easy, simple and takes no time because I don't boil the tea for a long time. Neither do I boil the milk. This only makes my life easier when I am ready to drink my tea or make it for others. Tea from the Subcontinent is almost always going to be packed with more liqueur than the tea you may find at regular grocery stores like Lipton tea. First and foremost is the importance of boiling the water. But before that water needs to be measured. If it is one cup of tea then 1.5 cups of water and so on. Measurement is important because it will determine the amount of tea granules to put in. So boil 1.5 cups of water. By this I mean when the water starts to boil let it boil for 5 mins. I set the stove to medium high which is the mark between high and medium. Now take one teaspoon of tea and drop it into the water. Additionally drop another half a teaspoon of tea into the boiling water. 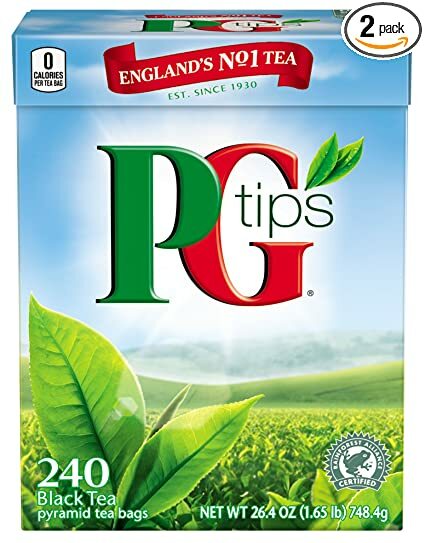 So for 1 cup of tea use 1.5 tsp of tea granules. Just about 30 seconds later turn the stove off and let the tea rest and settle down at the bottom of the kettle. In this 30 seconds you will notice the color take a deep rich hue. I have a glass kettle which makes it easier to tell. I don't measure 30 secs. I wait for this hue which is about under a minute. You will know after a few tries. In the meantime pour sugar into the tea cup with the saucer. And pour 2 tbs of half and half into the cup. I use unrefined sugar or sucanat for my tea instead of white sugar. By this time the tea will have settled down. Pour the tea into the cup. If you want to use a sieve you can but the tea granules will be at the bottom of the kettle anyway. And there is your cup of tea! To get the hang of it you will have to make several cups of tea if this is your first time. But the reason I make my tea this way is not only because its fast but also because this holds the flavor of the tea fresh and I feel boiling the tea for long takes that away. Also there is a theory that boiling tea for long is not really healthy. Instead of half and half, evaporated milk, condensed milk, powdered milk or whole milk can also be used. This entirely depends on preference. The condensed milk eliminates the use of sugar since it is already sweetened. In terms of powdered milk, Nido is widely preferred by most Bangladeshi living here in the States. It is the closest thing that comes to the powdered milk that is used back home. 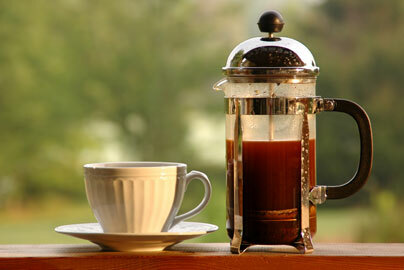 Bangladeshi tea can also be made in a french press just like french pressed coffee. Tea percolators are also very popular and necessary when making huge quantities of tea since Bangladeshis love to entertain massive amounts of people crammed into their homes. Okay now I really need to have some dudh cha. And you enjoy yours!